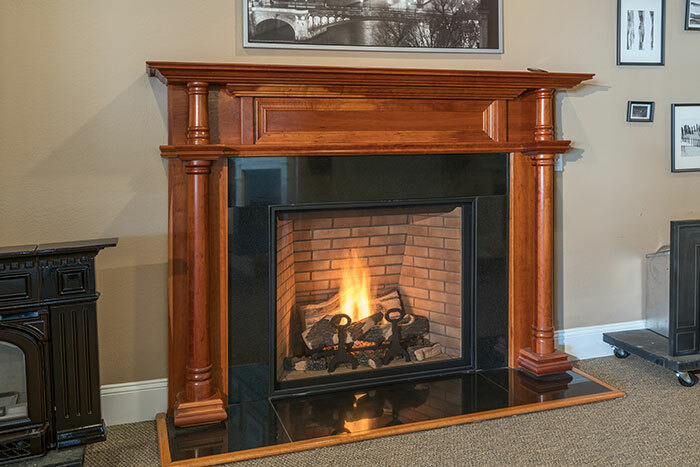 Anderson has a wide array of Gas and Wood Burning Fireplaces. Click on the boxes below to find out more information about each. Anderson Fireplace is proud to offer you a full array of direct-vent gas fireplaces to choose from. We have teamed up with what feel are the best fireplace manufacturers in the industry. Zero clearance wood burning fireplaces are typically installed in a new house or new addition in which you want have all the joys of burning wood, without the expense of building a masonry chimney. These wood burning fireplaces are basically metal boxes with a refractory cement brick on the inside which is designed to mimic the inside of real fireplace. Instead of a clay flue liner running through a brick chimney, there is a metal chimney that is designed to run vertically through the wooden chase. This is both safe and a less expensive way to add a wood burning fireplace to your home. 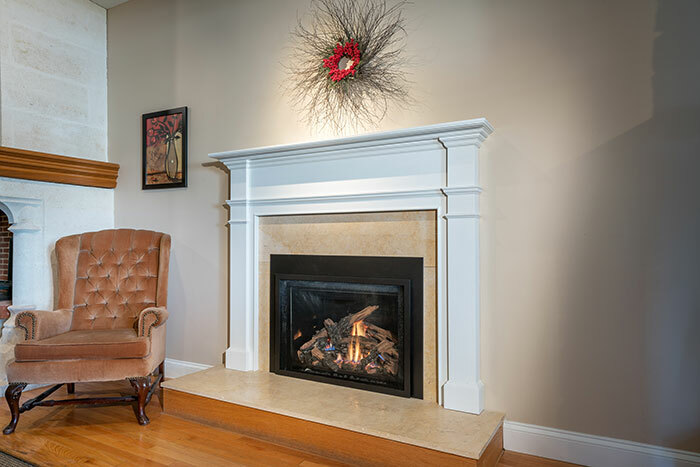 Anderson Fireplace provides the installation of direct-vent and wood-burning inserts into masonry fireplaces. A good portion of our work entails working directly for homeowners who wish to add an efficient means of heating to their home. Both wood inserts and direct-vent gas inserts are great options to help reduce home-heating costs. And they look great as well. 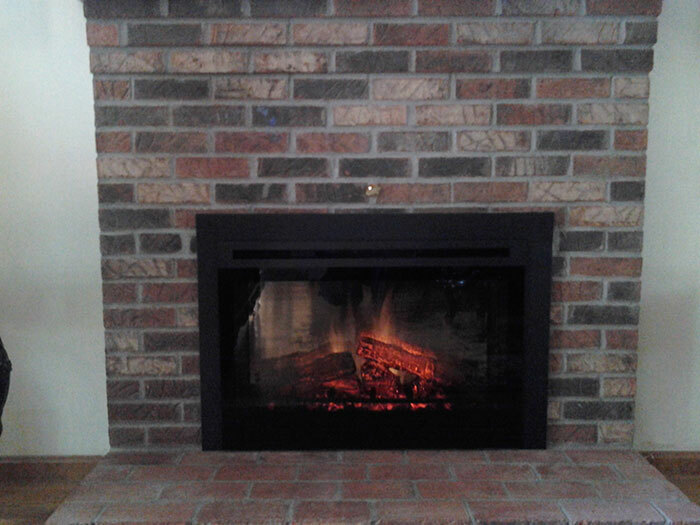 Add style to your masonry fireplace with a new set of glass doors and vented gas logs. Vented gas logs will give the illusion of real wood burning in your fireplace, without the hassle of cleaning up the mess. 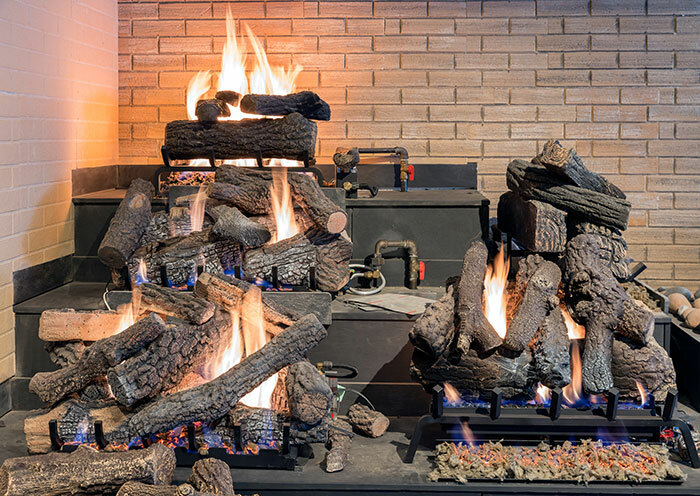 Gas logs will not wear away over time, and will burn the same way time and time again. 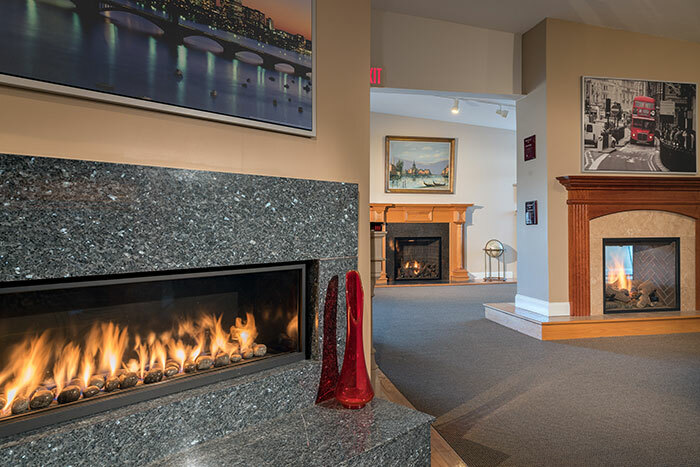 If gas is not an option, or you would prefer not to have gas in your home, but you still wish to have a fireplace, Anderson Fireplace has the answer for you. We offer two lines of top end electric fireplaces. Anderson Fireplace has the ability to cut and fabricate ¾-inch thick marble, granite and travertine surrounds for your fireplace needs. We offer a wide selection of colors, finishes and types. Many of which are on display for you to see and in stock for you to pick out the exact prices you want.